IFMSA General Assemblies are among the biggest youth-led events around the world. Held twice a year – once in March, once in August – they are attended by over 800 medical students from 100+ countries! 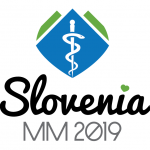 Host countries are elected one year prior to the meeting by the National Member Organizations (NMOs) of the Federation, giving the organization committee plenty of time to put together the optimal settings for medical students to learn, discuss, meet and exchange. The IFMSAs General Assemblies hope to inspire the next generation of future physicians to become leaders and advocates through the exchange of ideas, networking and learning from the various programming sessions. They feature namely: meetings of each Standing Committee; governance and decision-making sessions; training opportunities for self-skills development; inspiring activities and projects presentations. The executive board is elected at the March Meeting, while the rest of the Team of Officials and the members of the Supervising Council are elected at August Meeting.